A legislative proposal for next year’s Colorado Legislature would allow marijuana users to consume it at a club. DENVER – Colorado marijuana enthusiasts would be allowed to consume cannabis at a club if the state Legislature passes a proposed measure. Rep. Kit Roupe, R-Colorado Springs, has drafted legislation that would create a retail marijuana club license. Marijuana users would be allowed to consume at the club, and the club would be allowed to serve food and alcohol, if it is licensed to do so. Only consumers 21 and older would be allowed to attend. The measure would be introduced after the Legislature convenes again in January. 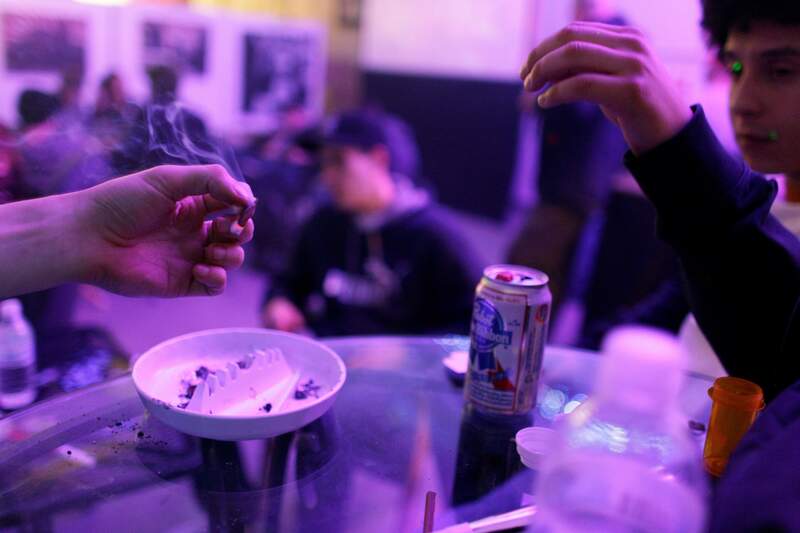 The bill would still allow local governments to ban marijuana clubs. Durango currently prohibits such clubs. It would take an amendment to city ordinance to allow the gathering spots. Durango marijuana regulators say it is unlikely that the City Council would vote to allow cannabis clubs any time in the near future. Roupe said her proposal is not so much about providing a place for people to smoke marijuana, as much as it’s about closing a legal loophole. There have been examples of cannabis clubs in Colorado, where club organizers charge members a fee, and then distribute marijuana at the club. The practice is technically illegal – as only licensed shops are allowed to sell marijuana – but it borders a gray area of the law because of the membership status. Club organizers say the membership fee is to reimburse marijuana costs. “We have an issue with folks who want to do it the right way – they pay their taxes, they follow the rules – and then some of the clubs, they see that there is a way for them to get around the laws,” Roupe explained. The legislation draws upon a recent effort in Denver by marijuana advocates, who were planning a ballot measure that would have asked Denver voters to allow bars and clubs to permit cannabis consumption on premises. That initiative stalled after proponents agreed to withdraw the drive to work on a legislative approach, such as the one being proposed for the state. In July, The Durango Herald asked several Durango businesses what they thought about the concept of allowing people to smoke marijuana in a public setting, such as at a club or bar. The answers were mixed. Some hotel owners thought it would be a good idea, because tourists don’t have a place to consume and few hotels allow consumption. And a handful of bars added that it could be an opportunity to attract business. Orio said she would even enjoy being able to sell marijuana at her establishment, though it is unclear whether the state legislation would extend that far. Roupe said it is possible she would craft the legislation to allow for sales at clubs, though those discussions continue. The next stakeholder meeting on the subject is scheduled for Oct. 13.